March has been an amazing month for us. We have been sharing our brand new show created for British Science Week around the North West. 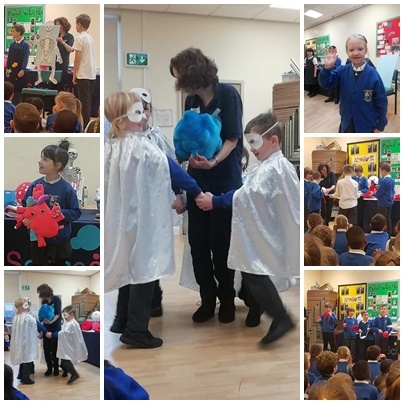 An Amazing Journey has lots of dressing up and joining in as we explore the microscopic things that make us healthy. 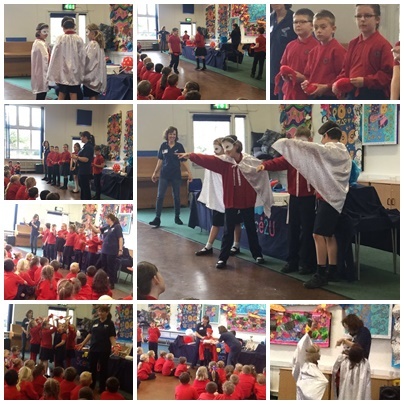 Here are just a few images from some of the schools we have visited - thanks to everyone for making us so welcome and allowing us to share your pictures. Thanks also to those schools where we have had such a good time but we can't share pictures. 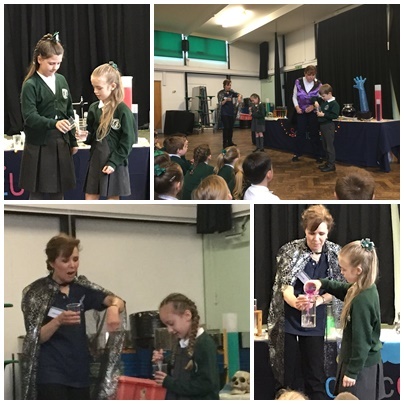 This week we were with our old friends from Summerhill Primary School Maghull for a day of shows and workshops themed around POTIONS. 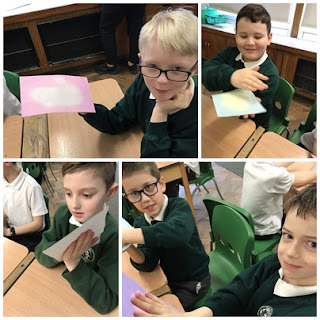 The show is full of magical colour changes and dry ice fog. how shall we wake it I hear you ask! 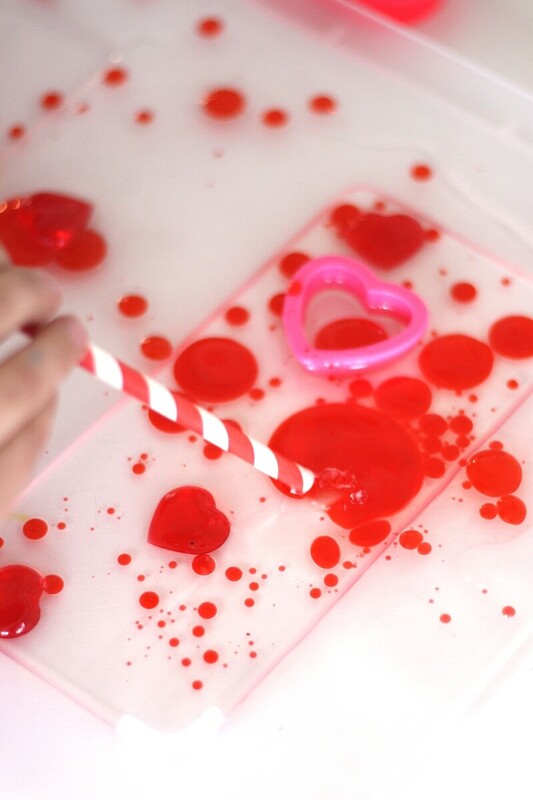 a quick shake of the bottle turns the clear liquid bright pink! 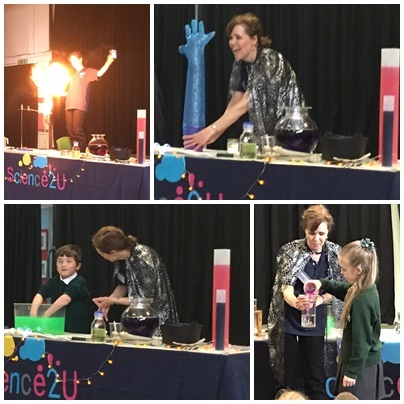 And so the show continued with disappearing magic wand and black cat ( made from polystyrene and dunked into acetone) and an umbrella that changes colour when wet. 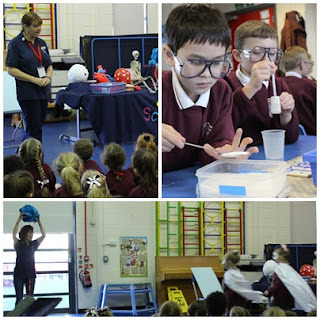 Then Helen created a huge fireball with milk powder and we set off the whoosh bottle. The finale was all dry ice - cauldrons of fog, crystal ball bubbles and lids popping all over the place. 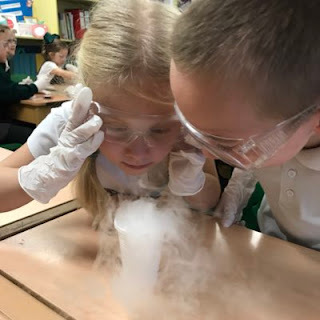 In the afternoon we worked with year 3 and then year 4 letting them get up close with some of the colour change kit - heat sensitive paper and colour change straws and finally decked in gloves and safety glasses everyone got very close with the dry ice making banana smelling fog and blowing up some of the gloves with carbon dioxide gas. 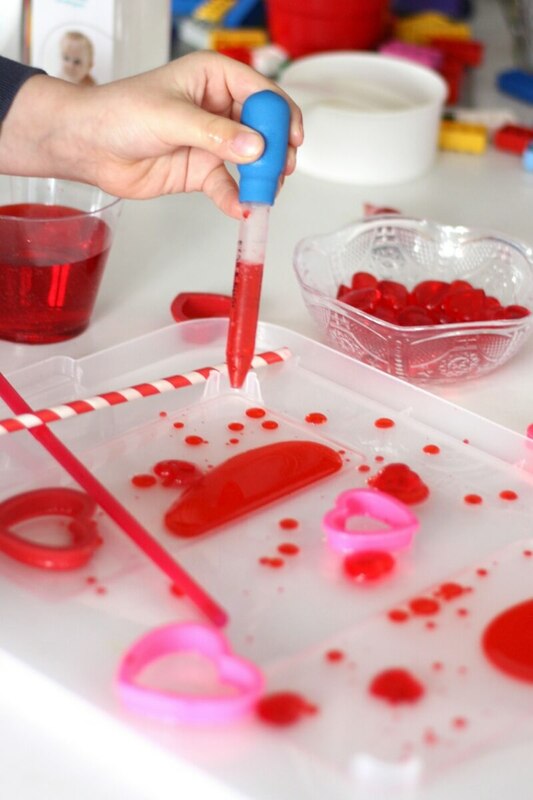 There is just time left to organise some Valentine themed science for your classroom. 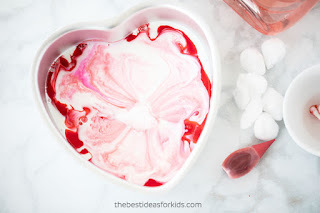 A quick browse of Pinterest brings up HUGE quantities of glitter slime, red hearts and love heart sweetie science so it is well worth having a look yourself. Here are just a couple of ideas I have found that are a little bit different. The creative people who are Little Bins have a great set of web pages with ideas for love themed science especially this very simple but effective oil and water experiment. 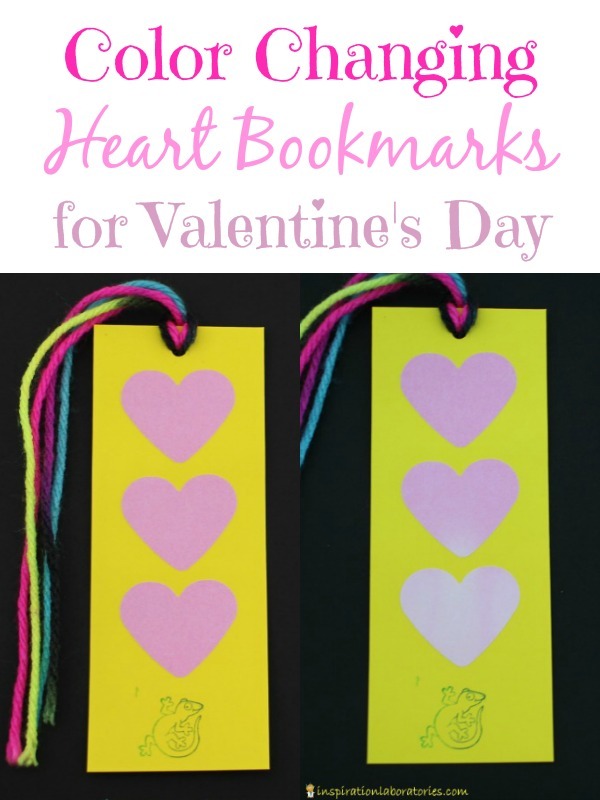 You will need to use baby oil to get that lovely clear effect and a couple of love themed colours . The images tell the story - well done to Little Bins for a great idea. 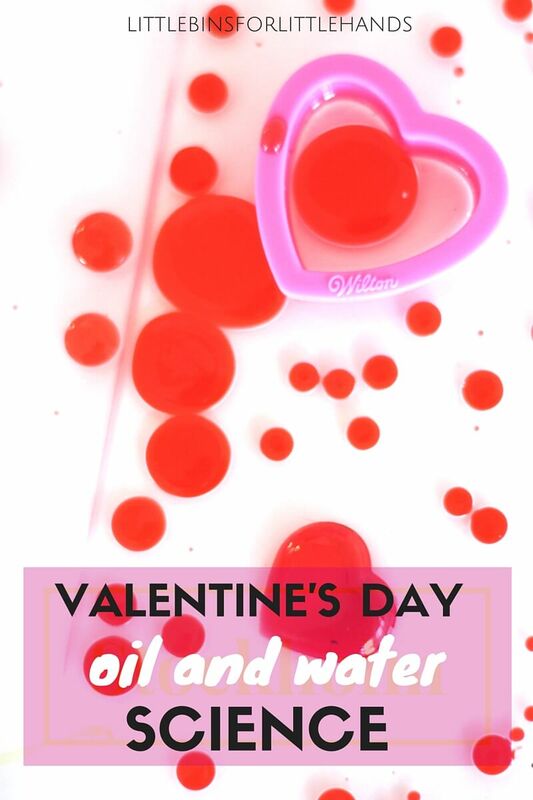 Inspiration Laboratories have a brilliant site with lots of ideas that are just a little bit different but you will also be able to find your favourites there too. 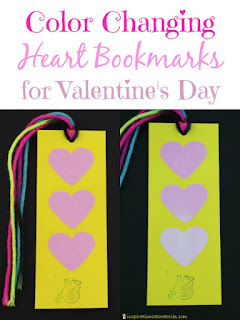 And finally from The Best Ideas for Kids a brilliantly simple love themed take on our own Art on a Plate. 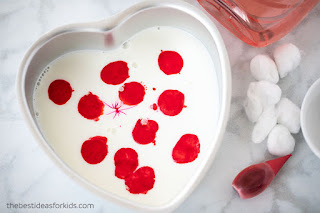 Using full fat milk, a heart shaped cake tin, red food colouring, a little washing up liquid and a cotton bud. Pour a small amount of milk into the cake tin and add a few drops of colour. 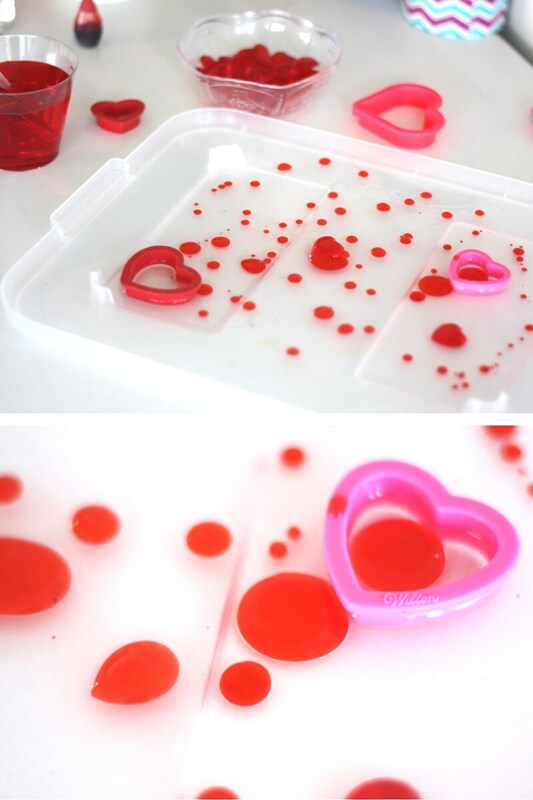 Then touch the surface with the cotton bud dipped in the washing up liquid and watch the results. Amazing and well worth getting the video camera out. 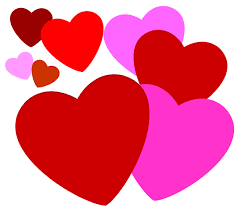 Have fun and enjoy Valentines Day! 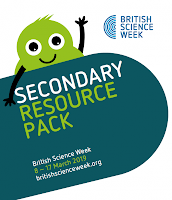 Whether or not you are joining in with British Science Week next March you can still download and use their 2019 activity packs to add extra hands on in your classroom. The theme for 2019 is Journeys and as the Channel Tunnel is celebrating 25 years of being operational there are science and engineering ideas using that theme in every pack. 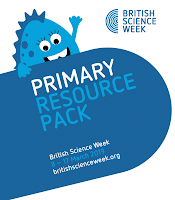 The Primary and Secondary packs have ideas for assemblies and all packs have a range of activities covering all aspects of science and abilities. In the secondary pack I quite iked the wind up car which is a starting point for a range of D&T activities. 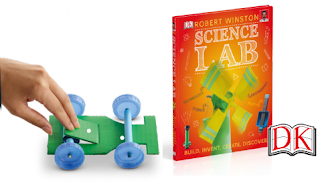 This activity is taken from Robert Winston’s new book, Science Lab, and during it pupils learn how to use energy to move a vehicle by building a wind-up car. The aim is to discover that energy cannot be created or destroyed, it can only be transferred. Of all the pack I think my favourite has to be the Journey to the Afterlife—an exploration of mummification. 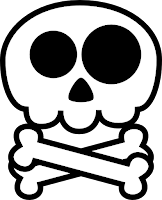 The mummification process involved removing all the internal organs, packing the body with natron (a type of salt) to soak up all the moisture, and coating the remains in resin to prevent decomposition. Finally, the body was completely wrapped in linen bandages. 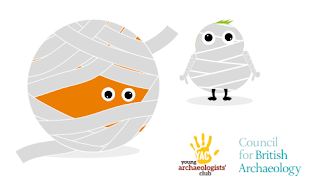 After some research on the process your students will be ready to mummify their own body. For a handy body students use an orange, scoop out the insides through a very small slit and stuff with kitchen paper. The paper is replaced as it gets soggy so that eventually the inside of the orange is dry. 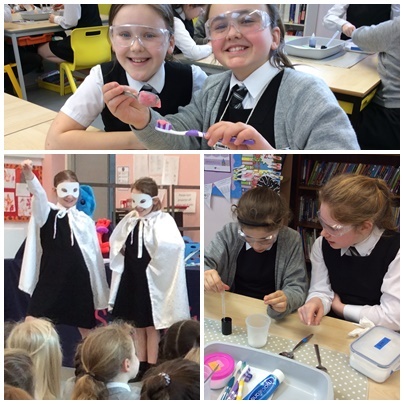 They then have to make their own spices mix and a version of natron using salt and bicarbonate of soda. The orange is then wrapped up mummy style and left somewhere warm and dry. Whether or not you are joining in with British Science Week in March you can still download and use their 2019 activity packs to add extra hands on in your classroom. At 37.9km (23.5miles), the Tunnel still holds the record for the world’s longest under-sea tunnel. The project took five years to complete and involved over 13,000 engineers, technicians and workers. However, its journey started over 100 years before that; the first design for a cross-Channel tunnel was produced in 1802 and the first attempt at a tunnel excavation was in 1880. 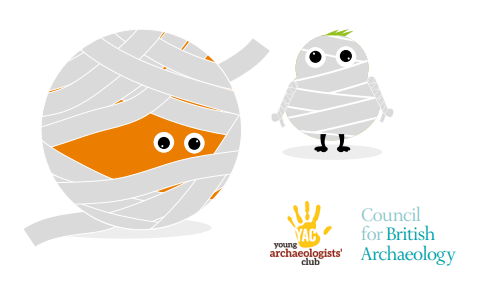 In the primary pack there are quite a few very simple activities needing hardly any resources such as making a "snakes and ladders" type game but using tunnels as a theme or designing an infographic using the tunnel statistics as a focus. There are also a few more unusual activities such as designing a lunar rover and I would build it too! I particularly like the Sneeze Zone experiment which shows how far droplets can travel when we sneeze. 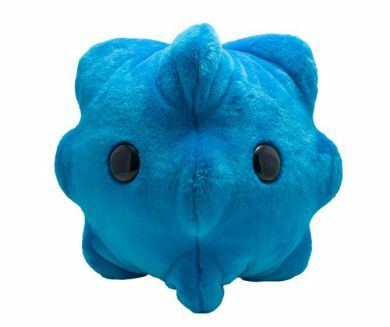 Use a water spray to demonstrate the difference between just sneezing, using your hand to cover your face and using a tissue. 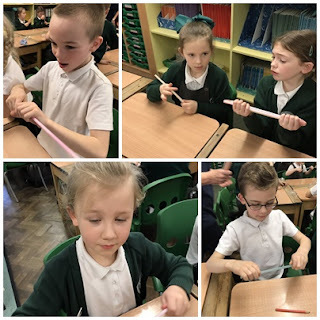 This could also be linked to activities explaining why we need to wash our hands. 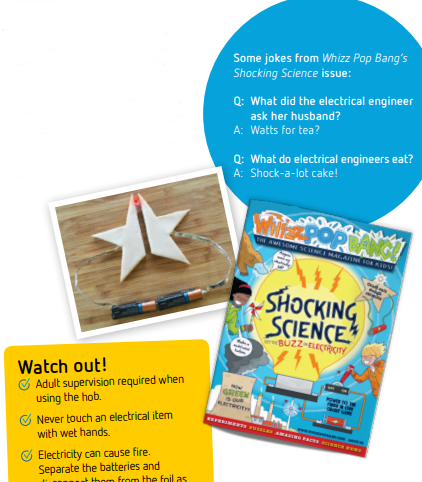 I also like the electric dough experiments from the popular science magazine Whiz Pop Bang. The idea is to make some very salty dough and using the science fact that salt is a great conductor of electricity use it to replace wires in an electric circuit. 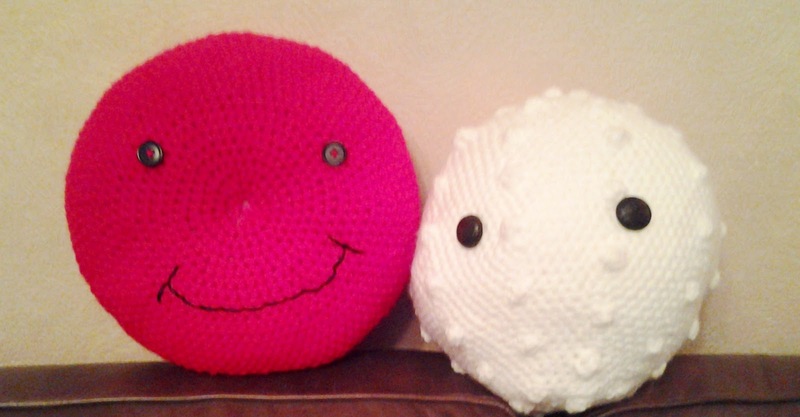 Pupils can use LEDs as eyes in a creature or make light up pieces of art or use LEDs as headlights. 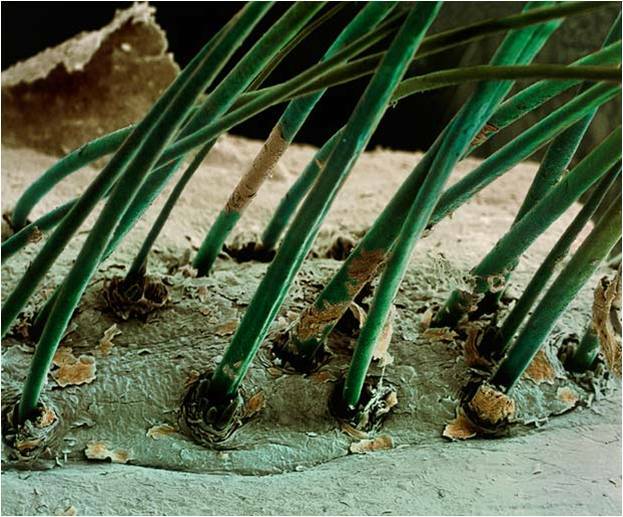 The show An Amazing Journey goes ultra small—into the microscopic world that makes us healthy humans. 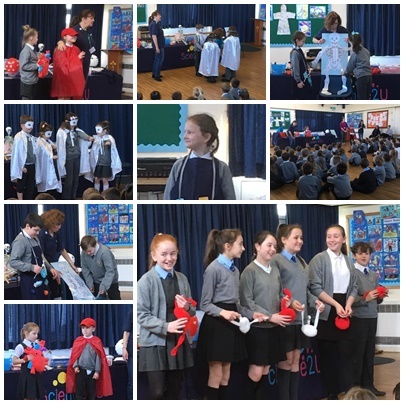 In the show we meet RBC—the brand new red blood cell who is busy learning how to deliver oxygen all around the body meeting other cells with important jobs like the superhero white blood cells who are busy fighting off diseases. 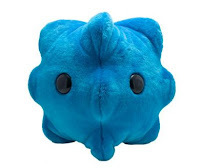 We will be using our little friend the rhinovirus to show how germs spread, and measuring how far sneeze droplets can travel. 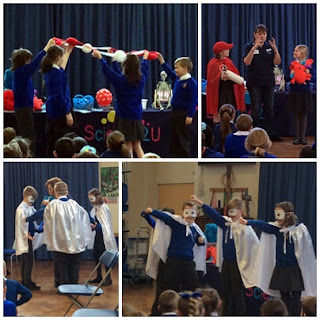 Our friend Cal ( calcium) will helps us discover how we need a healthy diet to give us strong teeth and bones and with audience help will build a skeleton . 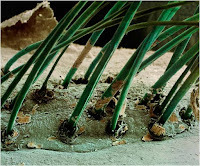 We will also be finding out and decoding the secret messages deep inside every cell making us totally unique. This show for both Key Stages at Primary school has lots of dressing up and joining in and we are quite excited about it!! The class sized workshops to go with the show are KS1 Super Senses including feely tubs, smelly eggs and “the mystery liquid challenge” and for KS2 How Clean Are You? where we will be looking closely at gross and gruesome body bits plus making and testing toothpaste. orange or making reflective clothing? The Primary and Secondary packs have ideas for assemblies and all packs have a range of activities covering all aspects of science and abilities. Many require very little equipment, often you will find a literacy link such as the journey of the Very Hungry Caterpillar. Some will be enough all on their own others will link into many other topics that you may be doing. All of the packs have health and safety info for a risk assessment should it be needed for that activity. 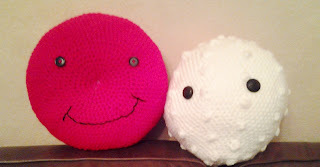 I like the Early Years everyday journeys Be Seen Be Safe exploring different materials for brightness and reflectivity and I think it is something that your pupils will be able to relate to. 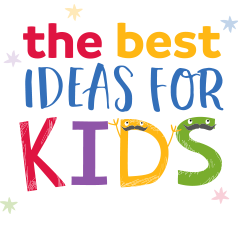 So many youngsters love dinosaurs so the activity Dinosaur Adaptation where pupils create their own dino, thinking about where it lives and how that impacts on the design plus things like colour and camouflage will really hit the mark. Your pupils can use model dinosaurs and pictures to think about how they are adapted to their environment. They could make modelling clay dinos and create a habitat using found items. they can also create large drawings or paintings of their own design coming up with a scientific name.